Perfect for quilting, binding and more. Create your own bias tape in minutes with whatever fabric looks best for your project. 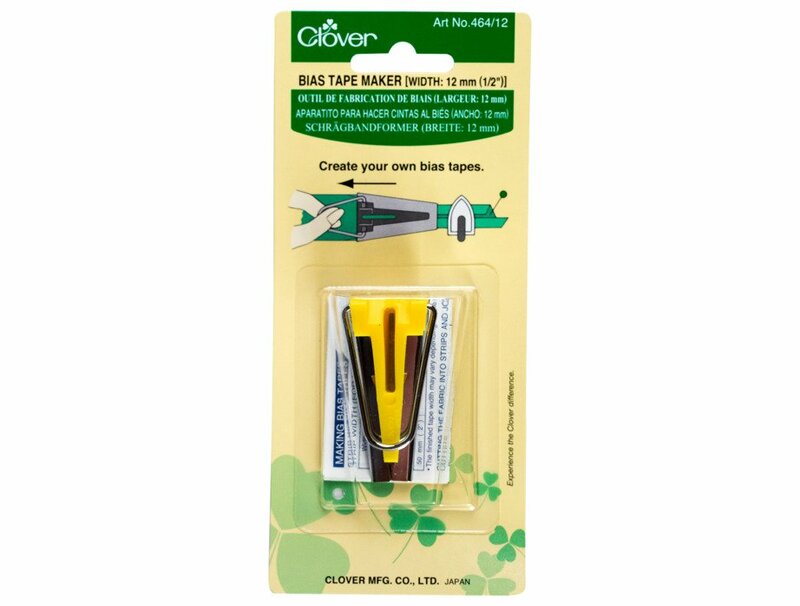 The package back has a tape strip width scale for both thin and regular fabric. 1/2 inch (12 mm).